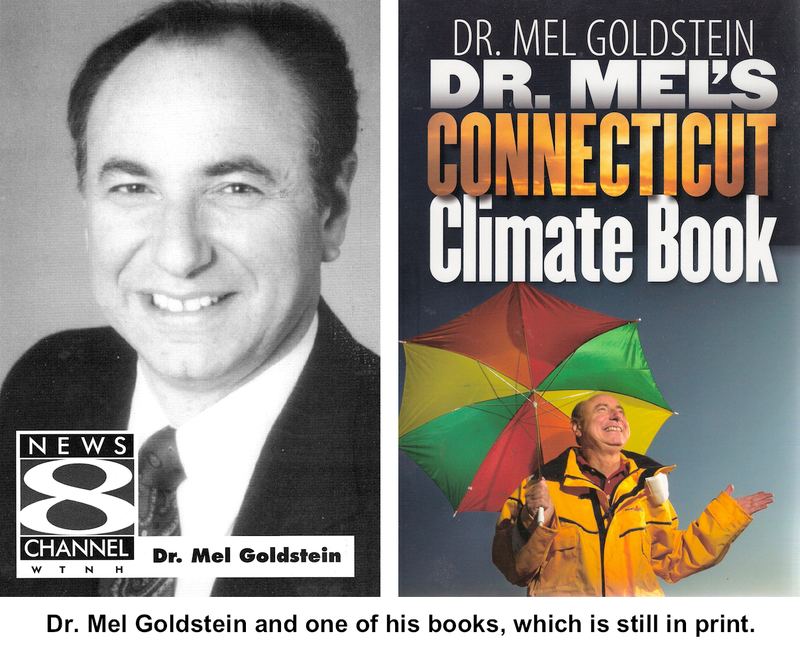 Dr. Mel Goldstein loved Connecticut’s weather: hurricanes, blizzards, floods, tornadoes, ice storms, the hot and humid, the frigid and dry. “We, in our unique and special corner of the earth, manage to have it all,” the veteran meteorologist once wrote — with excitement. Those stormy roots led him to a 1967 Penn State degree in meteorology and a doctorate from NYU. In 1972, he and his family moved to Rowland Lane, and Dr. Mel, as his students called him, taught meteorology at Western Connecticut State University, ran its well-known weather station, did research, and supplied forecasts and other weather-related information to 20 radio and TV stations as well as many corporations and even the governor of the state. Locally, he was heard over WLAD in Danbury many times almost every day for many years. By the 1990s, he was the full-time weatherman at WTNH, TV Channel 8, in New Haven and was writing a weather column for The Hartford Courant, the state's largest newspaper. In November 1996, Dr. Goldstein was found to have cancer in his back, a multiple myeloma that was supposed to kill him in less than three years and that was already crippling him. He and his wife Arlene moved to the New Haven area and he underwent the latest treatments at Yale-New Haven Hospital. “I received a flood, an avalanche of calls and mail,” he said. “Masses were held for me — even in Rome. I was able to see a part of human nature that so often is obscured during our routine tribulations … That, along with the exceptional medical care, provided healing for my body.” Within three years, he was back at WTNH, teaching, and writing. His “Complete Idiot's Guide to Weather,” published in 1999, was a top-selling book and in 2009, he wrote “Dr. 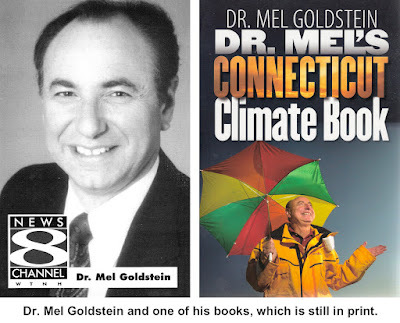 Mel’s Connecticut Climate Book,” which is still in print. Goldstein finally succumbed to multiple myeloma in 2012. He was 66 years old.